Looks pretty real to me, but it's hard to say with how good some of the people here on the forums are at hacking the game now. Usually the only way I can tell is in motion, screenshots are becoming difficult to discern. The guy on that Facebook link says they are trying to "complete" it and a release date has been established. Eh. Last edited by Aleff; 06-14-2012 at 07:50 PM. 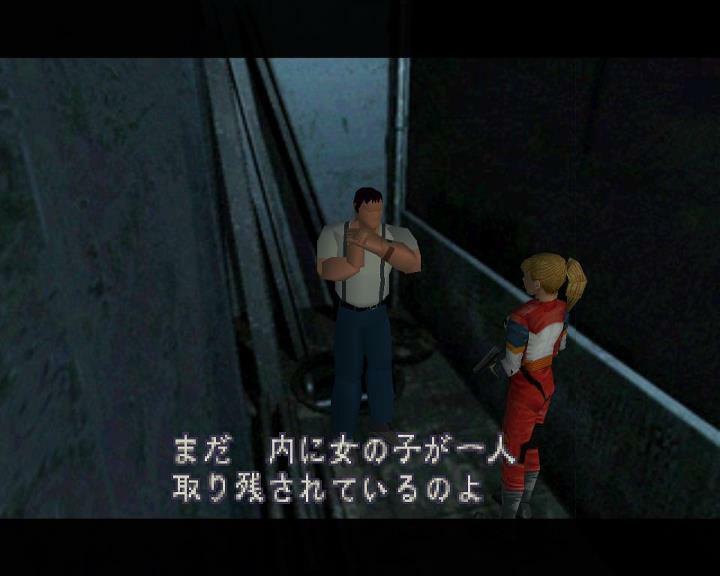 Welcome to the Japanese world of BIOHAZARD 1.5! I hope they release the original, and not just their fan-mod. I suppose the latter would be close enough, but still. I'm betting that anyone going through the effort of fixing things will release the original as a comparison. It's what I'd do. If it's the Curator's version then it might be kinda interesting, as Faceless Kendo shows it wasn't terribly complete. I'm curious as to where on Earth they came from. Another. Pretty certain that it is legit. Can't wait. We'll be translating it. Last edited by News Bot; 06-14-2012 at 08:30 PM. No big RE anniversaries coming up in the next couple months, right? Hah. No one here has 1.5, not me, not News Bot, not Alzaire, not Geluda and not even you. The screenshot I posted was just a crappy edit I made in paint. This is pretty exciting. I just wonder how long it will be before the project dies... like all the rest. For the love of my mother please let's just not make this thread another unfunny sarcastic chat box. Sorry, it wasn't obvious to me. Where the hell is Leon with the buzzcut where he looks like a carbon copy of Chris? That's the version of RE2 I want... RE1.25, if you will.